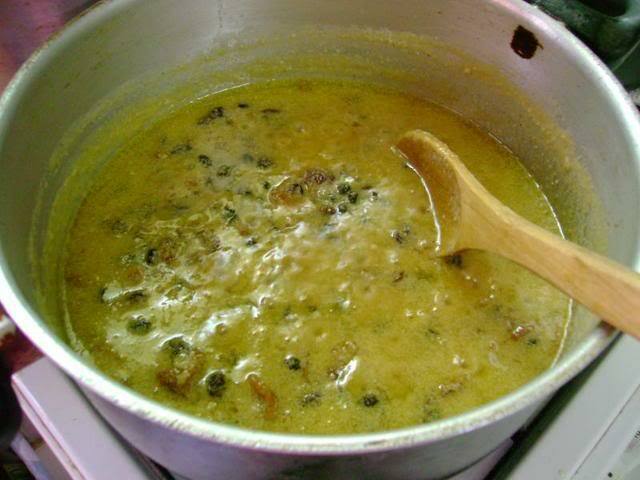 Place all the fruits in a saucepan, together with the margarine, water and condensed milk and bring to the boil. Stir frequently to avoid sticking. Simmer the mixture for exactly 3 mins and stir occassionally. 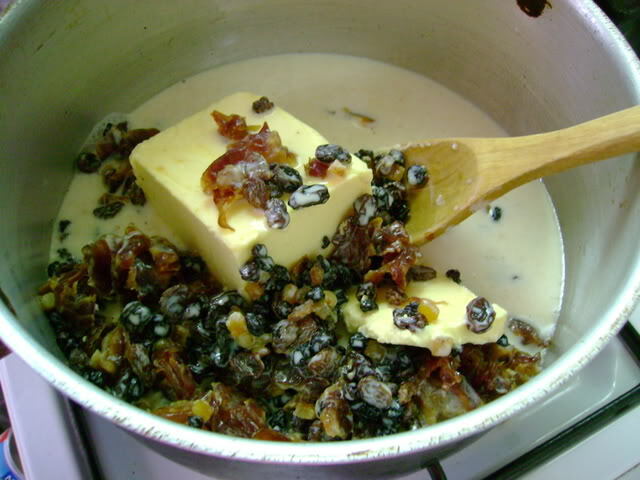 Now transfer the mixture to a large mixing bowl and let it cool for approximately 30 mins. 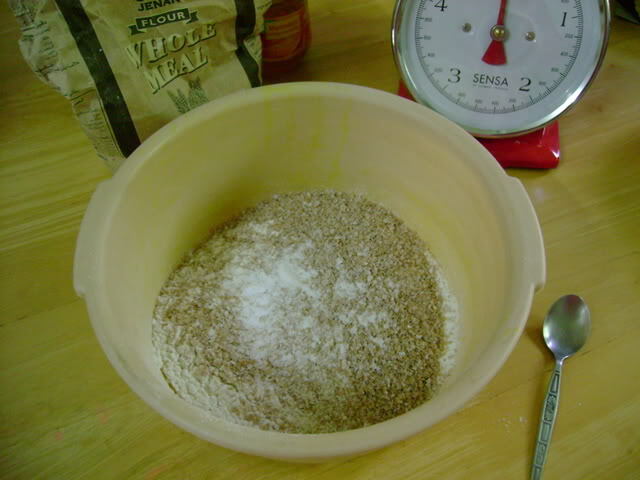 While it's cooling, weigh the flours and sift them into a bowl together with the salt and soda. 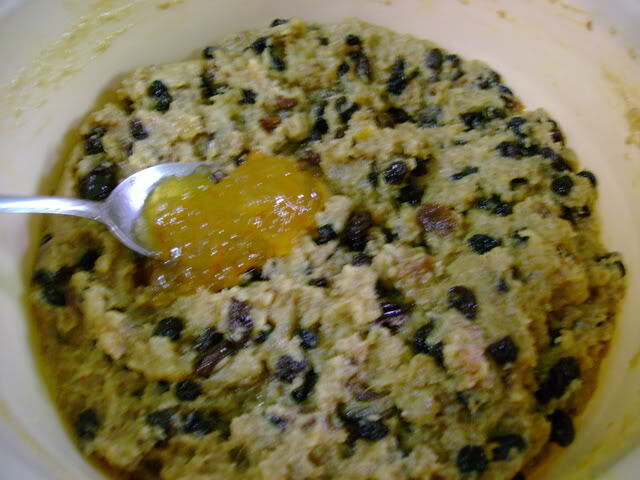 When the fruit mixture has cooled, stir it into the flour, salt and soda mixture and add a good round tablespoon of marmalade. 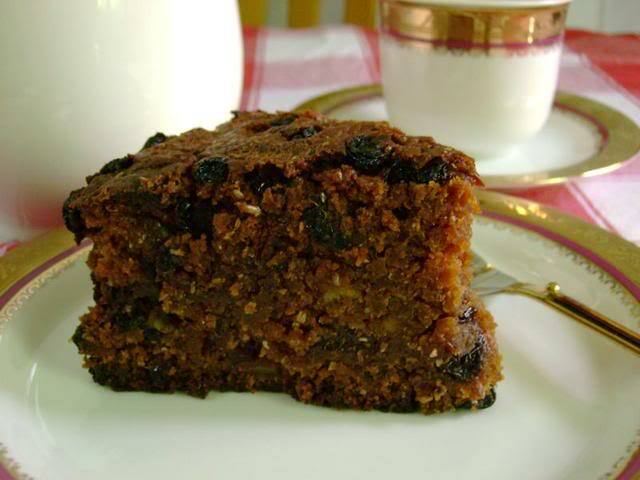 Now spoon the mixture into the prepared tin and bake the cake on the centre shelf of the oven for 21/2 hrs. Protect the cake from the beginning with a double square sheet of greasproof paper (with a hole in centre, okay mine's not a very good circle! :126: ). 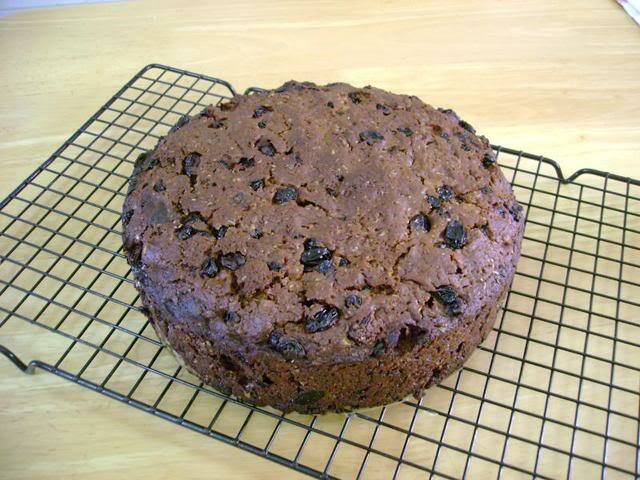 This cake does get rather brown! 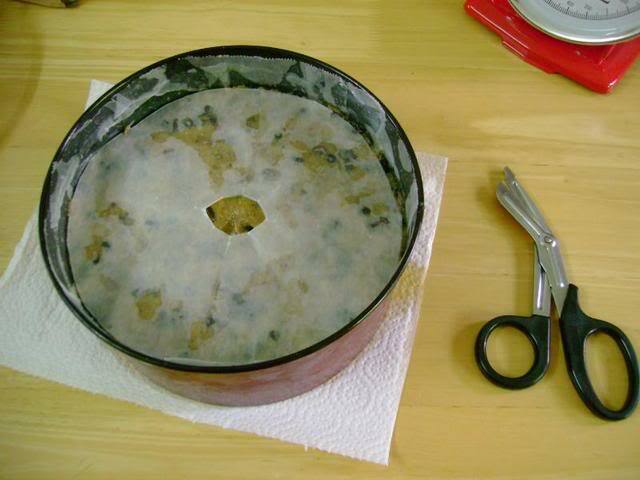 Let it cool in the tin for 5 mins before turning it out. 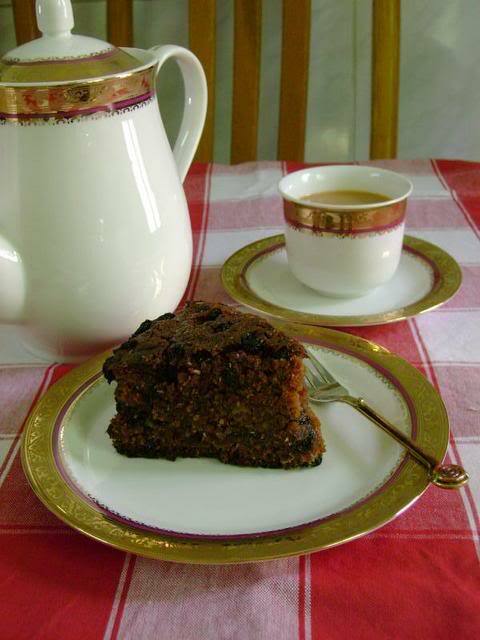 Anyone want to join me for a cup of tea and a generous helping of cake? Jazaka'Allah khair for the recipe.